It used to be that the only thing necessary in order to make sure you have a thriving business was to have a good reputation. Now, however, things have changed hugely and digital media has become an everyday part of our lives. Almost everyone today has access to a cell phone or computer and has a fast Internet connection. Most people actually refuse to contact any local business before the research the businesses reputation online. 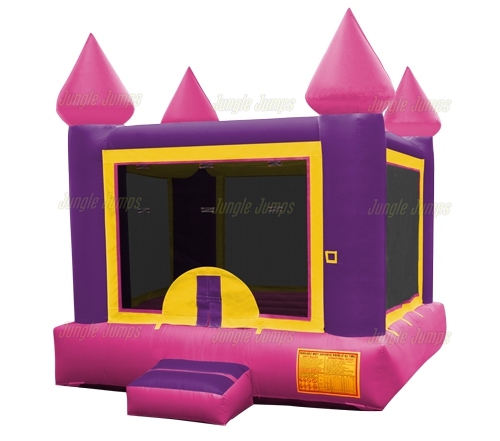 One of the key things that you’ll need to ensure that the money you spent with the bounce house manufacturer was not a waste is a website. But have you ever noticed that today’s website all seem to look the same? The best way to stand out from the crowd is to make sure the your business website truly captures the personality of your business. Have you ever gone on a website that was different than all of the other websites you have ever seen? If you have you likely remember that website because it was so different. 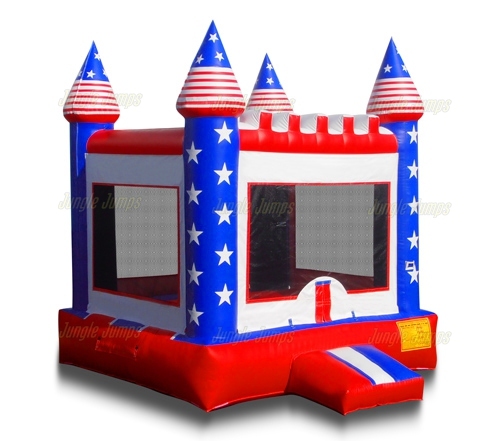 If you want people to rent the inflatables that you purchased from the bounce house manufacturer, you need to make sure that you have a website that truly stands out. There are a number of ways that you can make your website different from all of the other websites out there, starting with media. Media includes photos and videos and sound and is a great way to truly individualize your website. Include photos and videos of children jumping around on the item you purchased from the bounce house manufacturer, and make sure it looks like they’re having a blast on the website. You can even create your own little commercial and can have a play on your website as well. Having a decent design on your website is also very important. You don’t want the website to be a cookie-cutter imitation of all of the other websites out there, so if you are not familiar with computer programming and website building you may want to hire someone who is to give you a hand. They will not only be able to help you create a decent website, they may be able to also give you some great ideas about unique things you can include on your website that your customers will love. Remember: you not only need to impress potential customers with your website, you also need to give them the vital information that they need to know. Make sure you have all of your prices and your contact information easily available on the website and you will find that it becomes a place your potential customers, and your current customers, love to go to. When you first start a business renting moonwalks, you will likely be doing so on your own or with the help of your partner. After a few years, however, if you have done things correctly your business may get to the point where you need to hire employees. When you own your own business it’s easy to tell yourself what you need to do, but many new business owners do not realize that they need to make the rules clear for their employees as well. It is always a good idea when you own a business to set down some ground rules that your employees need to follow. Every business has their own rules, but you can customize the rules to work for your specific business. Here are a few rule ideas that you may find to be a good fit for your moonwalks rental business. Dress Code – One thing that many people love about owning a moonwalks rental business is the fact that they don’t have to wear a suit and tie every day. While there is no need to be formal when setting up the bounce house, it is a good idea to make sure that all your employees have a similar look. It can be very inexpensive to purchase printed T-shirts that have your business’s name and logo long, allowing your employees to look professional while also giving you a bit of free advertising at the same time. Language – Studies have been done that is shown that if you injure yourself, and you swear immediately following the injury, the pain that you feel is actually lessened. But when you own a moonwalks rental business, however, you are around children on a regular basis which means that you will need to watch the swears coming out of your mouth. Make sure all employees know that swearing is not allowed whenever you are setting up moonwalks. Staying On Time – One thing that all employees of a moonwalks rental business need to understand is time management. Being there when you say that you will be is extremely important. Being late makes not only the employee look bad, but makes the entire business look bad. Make sure that your employees understand how important staying on time is. You can even create, and enforce, a punishment system for being late, such as docking them a few dollars for every hour they are late to a setup (as long as there are no extenuating circumstances, that is). Remember: it’s your business so you get to set the rules, but be sure to set some rules so that you are able to have a business that thrives rather than one that takes a dive-bomb. Anyone who was ever started a business before knows how much stress occurs when you’re getting ready to start your business. There are all sorts of things you need to think about, but eventually you have everything set up and you’re ready to rent out a bounce house or two. Unfortunately, the phone isn’t ringing. This can be a huge problem for first-time business owners as they often do not understand what they need to do in order to get customers renting their inflatables. The solution to this problem is very simple: advertising. Advertising is the best way to get the name of your business well-known, but how do you start advertising and should you pay for advertising or should you go with free advertising? Most people are familiar with the idea of paid advertising. If you watch a commercial on television, you have seen paid advertising at work. Paid advertising can be done through a number of different media sources including television, radio, and in print as well. You can now even purchase ads online. 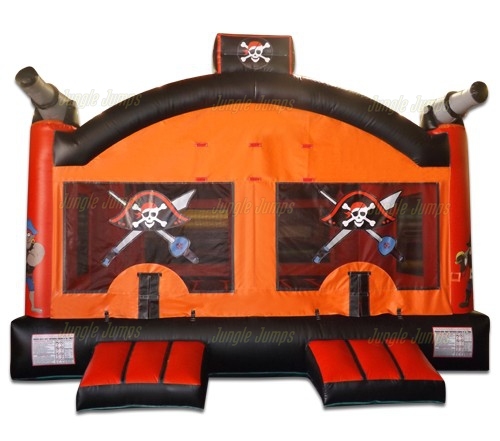 Most first-time business owners who are trying to own a bounce house rental business believe that they need to utilize paid advertising and feel that it is the only guaranteed way to get business. Paid advertising, however, can cost you a huge amount of money, especially if you live in a large city area. If you feel that paid advertising is truly the way you should go, look to advertise in small local papers and radio stations first as not only will you save a bit of money but you will also be able to get your feet wet in the advertising world without spending a fortune. There is such a thing as free advertising. Word-of-mouth, something that tends to work very well, is absolutely known as free advertising and is a great way to get people to know that you own a bounce house rental company. But in order to get word-of-mouth advertising you will need for someone to rent a bounce house, so you may want to look to websites like Facebook and Craigslist to help you to get the attention your business needs. It is easy, and free, to advertise on Craigslist, and simply by starting a Facebook page and having all of your friends and family members connects to the page will get the name of your business out there fairly quickly. It really doesn’t matter whether you go for paid advertising or free advertising – both of them can help to put your business on the map. Do a bit of research and you will be able to figure out which option is best for your business and your budget. The idea of starting your own business is one that is extremely appealing to most people. The economic downturn the country took a few years ago made many people realize that their jobs may not be as secure as they have been told they are. Because of this many people are taking the idea they had to start a business later on in life and are putting their plans on fast-forward by starting their business as quickly as they can. An inflatable jumper business is one that is fairly easy to begin and that can provide you a steady stream of revenue within a fairly short amount of time. Unfortunately far too often you hear stories about people who started an inflatable jumper business only to wind up bankrupt within a few years. But why does this happen, and why does someone who truly wants their business to succeed often wind up failing at it? There are a number of reasons why someone who has a business would not be able to make it succeed, but there are a few common problems that many new business owners have. Lack of funding if the huge problem for most first-time business owners. They want to start an inflatable jumper rental business but find that they do not have the cash available to purchase the inflatable jumper that they need to start your business. One way around this is to get a business loan. Many banks, and credit unions, are now lending money to start up businesses. But be warned – in order to get money for start up business from bank or credit union you will need to have a solid business plan in order so that the bank knows that you have some idea of what you’re doing. Quite often people who start this type of rental business find the money to purchase their first inflatable jumper by using credit cards instead. The other huge reason why many businesses fail is because of lack of drive. It’s one thing to say you want to start your own business, it is another to give the business that you started the time it truly needs in order to be successful. 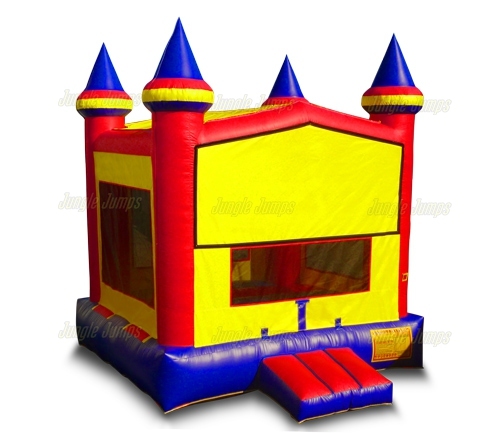 There are many things you will have to take care of when you own your own rental business, including scheduling, finances, customer service, and of course the setup and takedown of the bounce houses. It is possible to make your dream of owning a bounce house rental business come true, just remember you will need to have financing and drive in order to make your business a success. How often do you drive past a local store and completely ignore it in order to go to the big box chain store that is quite a few more miles down the road, simply because it will save you money? It’s not uncommon for someone to drive past the more expensive smaller stores simply because they want to save money, but that does nothing to help the local economy. It often is not until a new business owner has started their own business that they realize how important local businesses are. But what do purchasing jumpers for sale for your own business have to do with local businesses, and why would you want local businesses interested in your business? Anyone who has started a business before knows that the support that you get from friends and family can make, or break, a business. What they often don’t realize is that the very same statement is true when it comes to other local businesses as well. Small businesses need to band together, as they help to support one another. 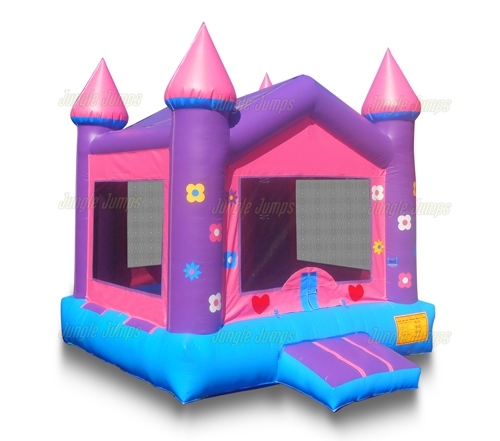 Let’s say that you have a party event rental location fairly near to your bounce house rental business. You two business owners would be silly to not be friends with each other, as customers tend to want to look for jumpers for sale, or bounce houses for rent, at the same time as they’re looking for party supplies! If the two of you are friends, or at least friendly colleagues, you can recommend the shop to any client that you have, doubling your exposure on an on-going basis. Even if your business has nothing to do with another business, it’s a good idea to make friends with the owner. Local business owners do need to band together as you never know when you will need to support one another. Supporting small local businesses makes a huge amount of sense when you own your own business, and can definitely be a great way to get your business more exposure. Not only that, if your business is accepted by the locals, they will be more likely to recommend you to their clients and before you know it you’ll have the same clientele as all of the other local businesses, breaking into their already-successful businesses to get more attention to your own business in a very healthy way.